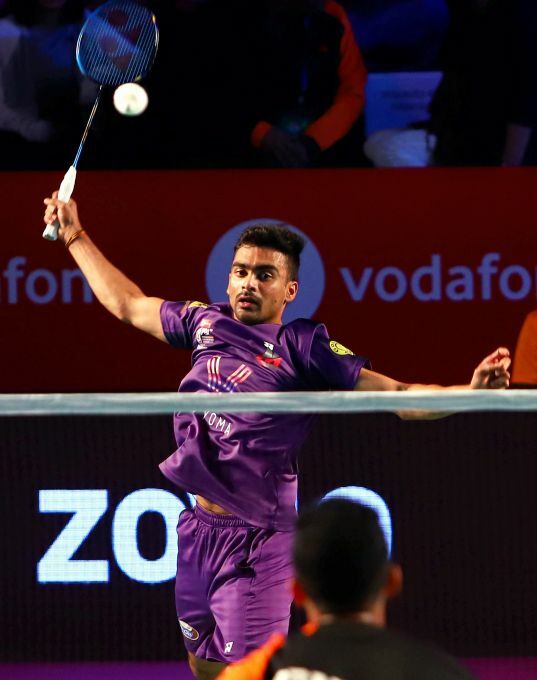 Mumbai: Mumbai Rockets' Sameer Verma in action against HS Prannoy of Delhi Dashers at the Premier Badminton League Season 4, at NSCI, Mumbai, Sunday, Dec 23, 2018. 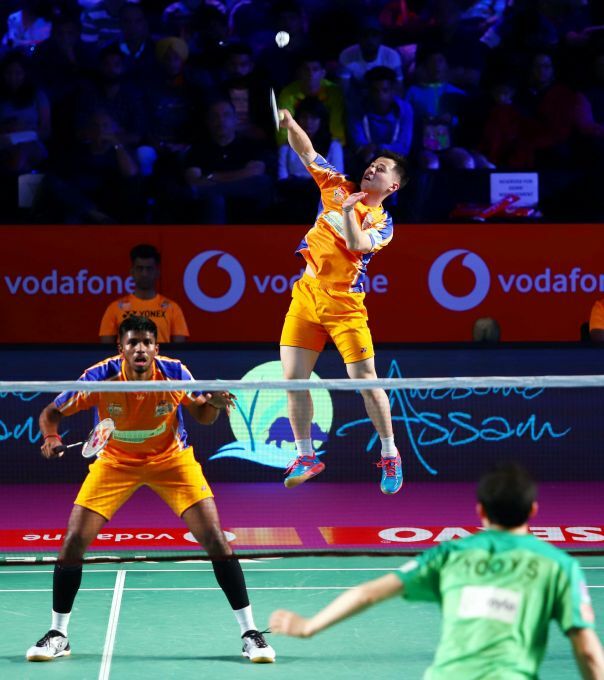 Mumbai: Satwik and Lee Chun Hei Reginald from Ahmedabad Smash Masters in action against North Eastern Warriors at the Premier Badminton League Season 4, at NSCI, Mumbai, Sunday, Dec 23, 2018. Kolkata: Bengal Warriors players catch a Debang Delhi K.C. player during their Pro Kabaddi League Season 6 match in Kolkata, Sunday, Dec. 23, 2018. Lucknow: Uttar Pradesh Governor Ram Naik and Chief Minister Yogi Adityanath along with others at the Yuva Kumbh programme in Lucknow, Sunday, Dec. 23, 2018. 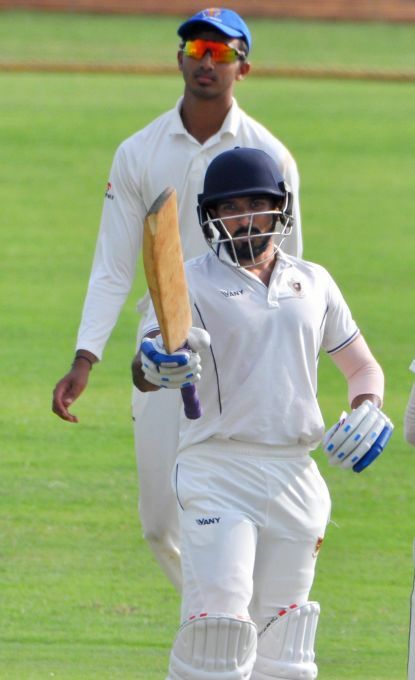 Shimoga: Railways' Manish Rao celebrates his fifty during the Ranji Trophy match against Karnataka in Shimoga, Sunday, Dec 23, 2018. 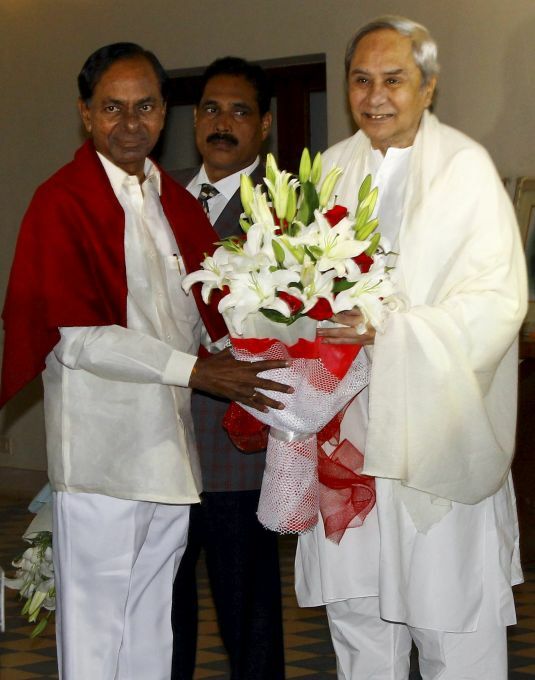 Bhubaneswar: Odisha Chief Minister Naveen Patnaik greets Telangana Chief Minister and TRS supremo K Chandrasekhar Rao in Bhubaneswar, Sunday, December 23, 2018.